Over 30 years' experience in the field of timber. As a Business Optimizer, we develop suitable solutions and strategies for your business. We use Microsoft Dynamics NAV as a basis for our solutions. With more than 100 employees at our locations in Krefeld, Braunschweig, Bremen, Dortmund, Nederland, Switzerland and Austria, and over 1000 completed projects, acadon AG is an experienced partner for industry solutions for everything to do with the timber production chain. Alles. Schnell. Finden. Das Dokumentenmanagement ist eine riesige Aufgabe für Unternehmen und Mitarbeiter. Die Organisation der Dokumentenablage erfolgt häufig nach dem Prinzip „Jeder wie er will”, also gar nicht. Das führt zu Mehrarbeit, Frustration, hohen Aufwänden bei der Recherche und somit zu Kosten. Die acadon_doc.box hilft beim Einlesen, der Ablage und dem Wiederfinden von externen und internen Belegen. Und das alles vollständig integriert in Microsoft Dynamics NAV. The management and organization of documents is an immense undertaking for businesses and employees. Document filing is often organized according to the principle of “just do what you want,” i.e. not at all. This les to additional work, frustration, great effort when it comes to research, and therefore also to greater costs. 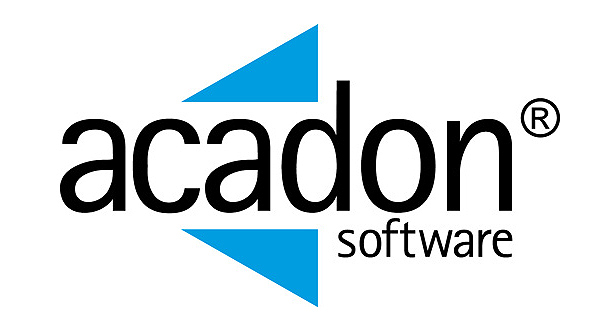 The acadon_doc.box assists with the input, storage and recovery of external and internal documents. And all completely integrated into Microsoft Dynamics NAV.